This railroad depot at Cape Tormentine formerly served the rail car ferry going over to Prince Edward Island. 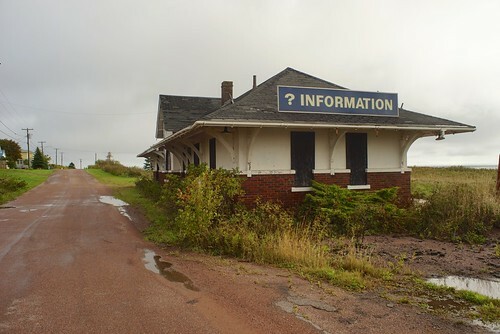 The Confederation Bridge and other changes have brought rail to an end on PE. This station has not faired as well as the station on the other end of the former ferry run in PE. In the distance is the Cape Tormentine Outer Wharf Range Rear lighthouse.